Kami merupakan supplier hygiene equipment dan neodynium magnet specialist untuk industri makanan dan minuman. 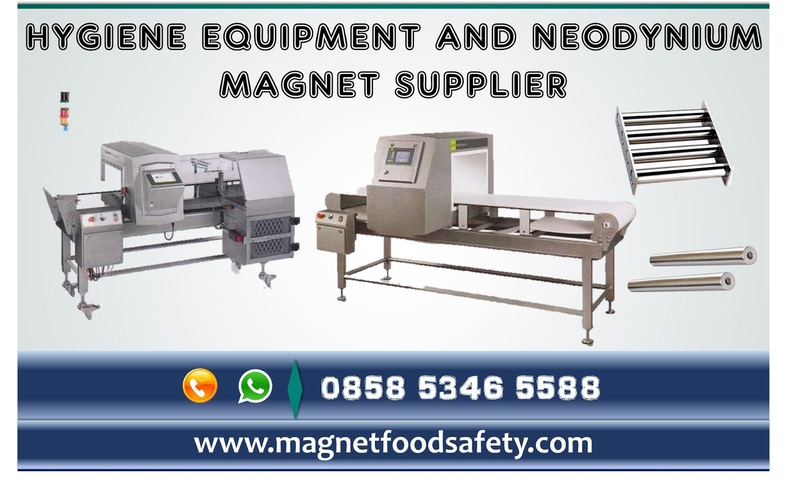 Kami hadir untuk membantu pengadaan Food Safety dan Hygiene Equipment untuk perusahaan yang secara konsisten menjalankan Standar Keamanan Pangan seperti HACCP, GMP, ISO 22000, BRC, FSSC. 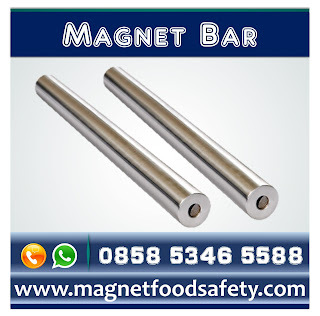 Magnet neodymium merupakan magnet yang sangat kuat, jauh lebih kuat dari magnet yang ada dipasaran dan yang dikenal orang yang sangat cocok digunakan untuk industri pangan. Magnet ini harus ditangani dengan perawatan yang tepat. Magnet Grate menawarkan perlindungan yang sangat baik dari kontaminasi logam. Partikel logam akan dikeluarkan dari bahan lainnya dan dicegah untuk masuk kembali. Sehingga semua bahan menjadi bebas materi logam. 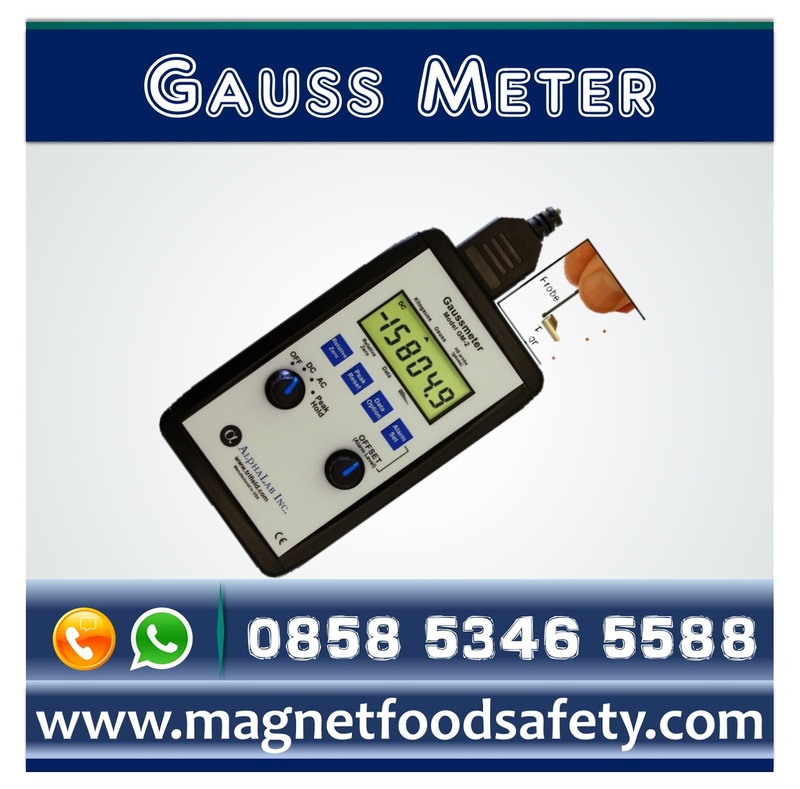 Gaussmeter yang juga dikenal sebagai magnetometer, adalah alat yang digunakan untuk mengukur kekuatan dan arah medan magnet. Alat ini mempunyai versi portabel yang dapat dibawa dengan mudah untuk memantau dan mengukur medan magnet. 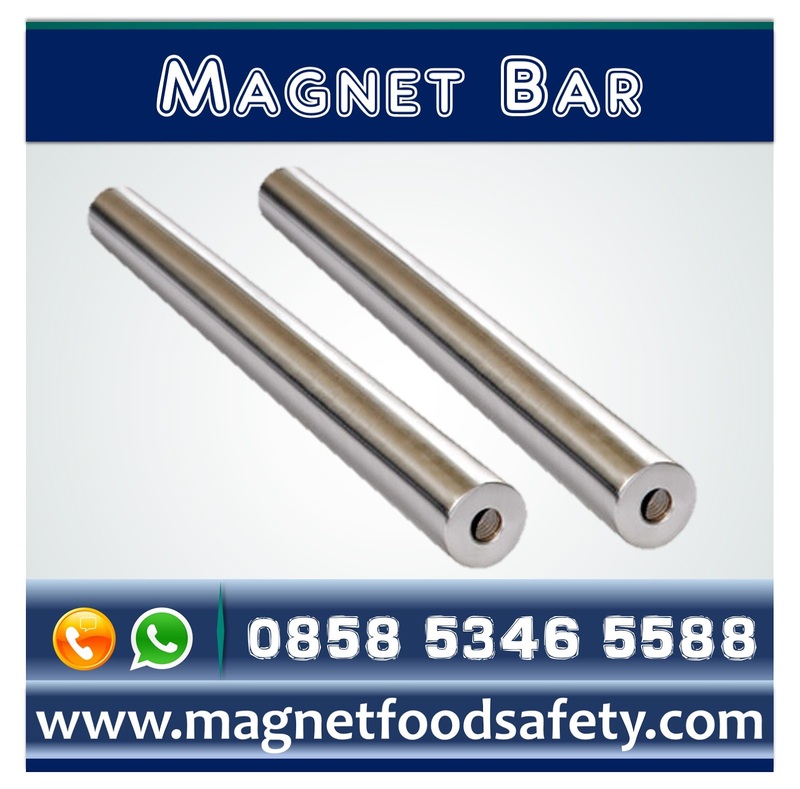 Neodymium Magnet with 25 mm diameter & length of 6 inch to comply food safety standard. 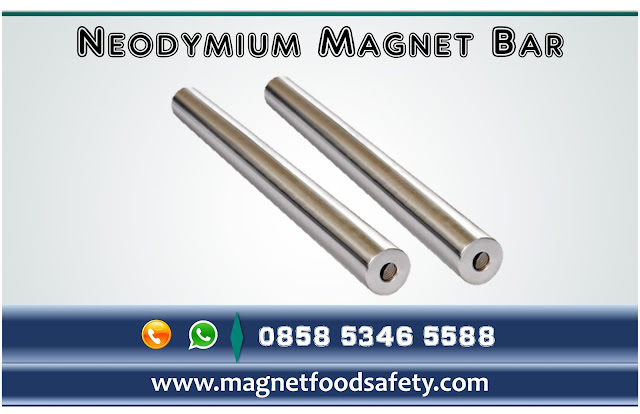 Neodymium magnets are very powerful, much more powerful than magnets most people are familiar with and need to be handled with proper care. The magnetic fields from these magnets can affect each other from more than 12 inches away. Please note that these magnets are fragile. Even though they are coated with a tough protective nickel plating, do not allow them to snap together with their full force or they may chip, break, and possibly send small pieces of metal flying on impact. Our magnets can easily bruise fingers and the larger ones can break finger bones and even crush hands as they attempt to connect together. Always wear protective eyewear or safety goggles when handling the magnets. Keep magnets away from any magnetic based storage devices such as desktop or laptop computers, hard drives, floppy disks, cassette tapes, VHS tapes, or credit cards. A distance of at least 12? should be kept between magnets and these items at all times. Neodymium magnets are not suitable for small children to play with. 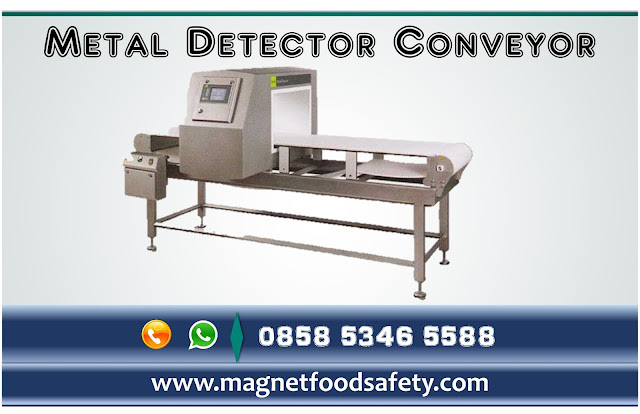 If small magnets are ingested, they can connect together in parts of the digestive system, blocking proper operation and cause death. These magnets should only be handled under strict adult supervision. Neodymium magnets will PERMANENTLY lose their magnetic properties if they are heated above 180° Fahrenheit (80° C). All Neodymium magnets are not created equal! You may find ‘inexpensive’ Neodymium magnets for sale from time to time. The phrase “buyer beware” certainly applies here. 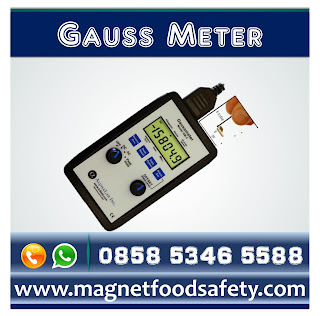 Our magnets are at least 10.000 gauss or higher. We always try and stock the most powerful magnet available for any particular size & shape. There are plenty of inexpensive Neodymium magnets available… but they have just a small fraction of the magnetic power that our magnets have. Like always, you get what you pay for. Neodymium magnets must be handled with care to avoid personal injury and damage to the magnets. Fingers and other body parts can get severely pinched between two attracting magnets. Bones can be broken by larger magnets. Neodymium magnets are brittle. They can peel, crack or shatter if allowed to slam together. Eye protection should be worn when handling these magnets, because shattering magnets can launch pieces at great speeds and sparks may be produced. The strong magnetic fields of neodymium magnets can also damage magnetic media such as floppy disks, credit cards, magnetic I.D. cards, cassette tapes, video tapes or other such devices. Electronics such televisions, VCRs, computer monitors and other CRT displays can also be damaged. Children should not be allowed to play with neodymium magnets as they can be dangerous. Small magnets pose a choking hazard and should never be swallowed or inserted into any part of the body. Never allow neodymium magnets near a person with a pacemaker or similar medical device. 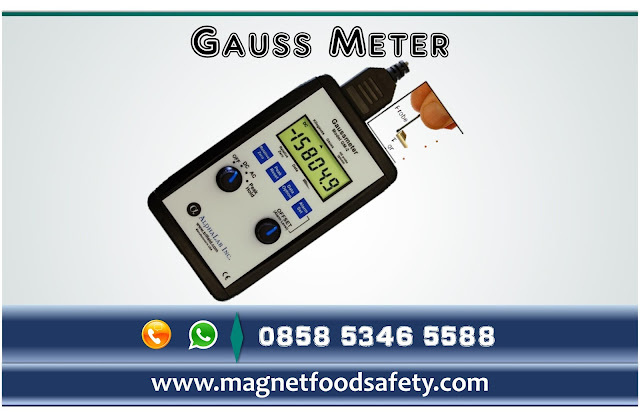 The strong magnetic fields of the magnets can affect the operation of such devices. Neodymium magnets are brittle and prone to chipping and cracking. Machining, drilling or other mechanical alterations are not recommended. Neodymium magnets will begin to lose their magnetic properties if heated above 176° F (82° C). The Bottom Line: Like any tool, neodymium magnets can be useful and educational, but must always be treated with care. Grate Magnets offer excellent protection from metal contamination. As product flows over the magnetic tubes, captured metal contaminants are pushed to the underside of the tube where they are now out of contact with the product flow preventing washoff back in to the clean material. 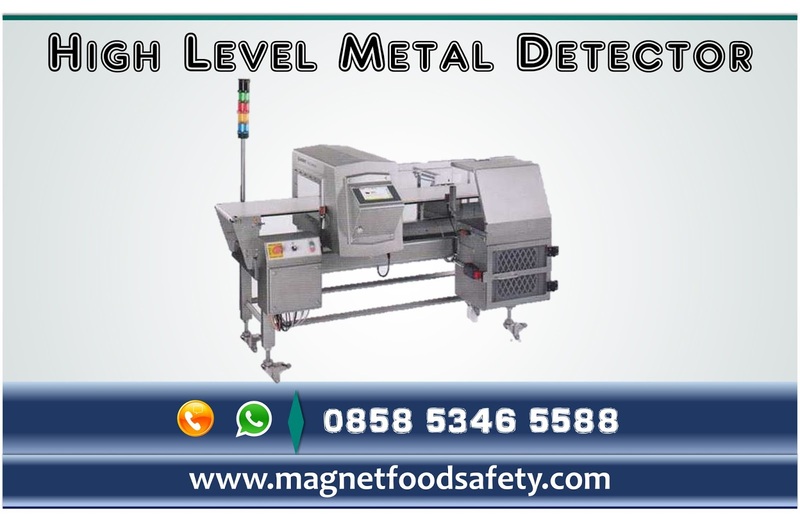 Grate Magnets are placed directly in the product stream allowing free flowing products to come in direct contact with the grate. 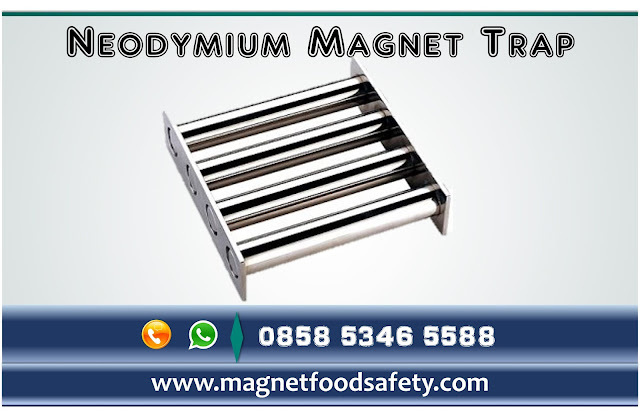 Grate Magnets are typically constructed with one inch diameter magnetic tubes mounted on two inch centers in a frame. The length and width can be fabricated to any dimension, usually in two inch increments. Cleaning is achieved by removing the Grate Magnet and wiping the magnetic tubes clean. It is important to keep in mind that by placing a Grate Magnet in the product flow, you will be reducing fifty percent of your flow through area. 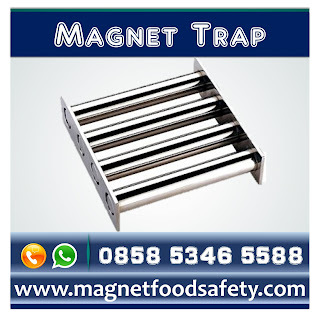 Grate Magnets should be sized so they do not impede the flow of product. Magnetically engineered to provide a full range of ferrous metal separation from free-flowing products with gravity fall processing applications. Puritan’s designs offer maximum capture, control and protection of equipment while improving product purity. For maximum protection, locate in critical areas where capture is possible, most needed, and where removal for cleaning is feasable. 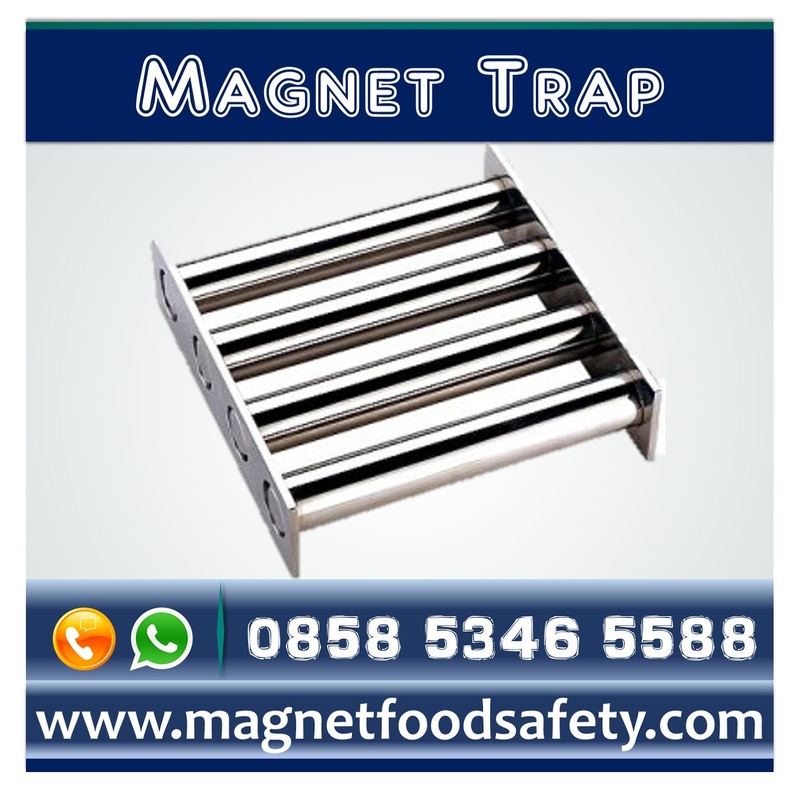 Grates are most effective when the product is dry, free flowing and does not bridge between the magnetic tubes (Puritan also offers other magnetic designs for those more difficult applications). Select a Magnetic Grate at least twice the cross sectional area of the incoming spout opening and discharge. When in doubt, phone Raja Magnet for engineering assistance. Kami menyediakan berbagai macam peralatan yang mendukung pelaksanaan food safety dan hygiene. Kami menjamin peralatan yang kami jual memiliki kualitas yang dapat dipertanggungjawabkan. Didukung oleh tenaga ahli yang berpengalamanyang selalu siap membantu segala permasalahan dalam bidang keamanan pangan.